My name is Ben Jaramillo and I would like to thank you for taking the time to visit my my massage webpage! I have been practicing massage therapy in Washington D.C. for nearly a decade and bring to the table many years of experience and expert training. My work combines various massage styles. I include Swedish, Deep Tissue, trigger point and Sports Massage in my massages. 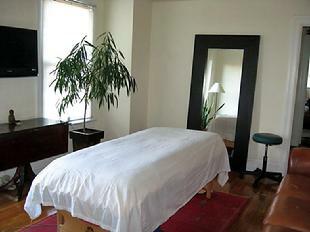 All my massage sessions are tailored towards your needs and comfort. I believe my work not only provides the health benefits of massage, but provides a safe place for physical, energetic and spiritual healing. I look forward to working on you! I’m located in Dupont Circle just 2 blocks from the Dupont Circle Metro stop on the Red line ( take the Q St. exit ). I am also within walking distance from several Hotels and B&B’s in the Dupont and Logan Circle area.